07 September 1942: Keel laid as BDE-39 by the Puget Sound Navy Yard, Bremerton, Wash.
31 December 1946: Sold for scrapping to Hugo Neu of New York City, N.Y., resold to and scrapped at the National Metal & Steel Corp., Terminal Island, Los Angeles, Cal. 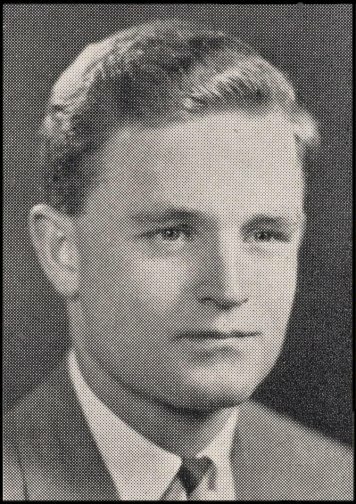 77k Born 03 August 1913 at Nahant, Mass., William Bacon Lovering graduated from Harvard and on 02 August 1940 enlisted in the Naval Reserve. Appointed a midshipman 22 November, he attended Abbott Hall Naval Reserve Midshipmen’s School at Northwestern University in Chicago. 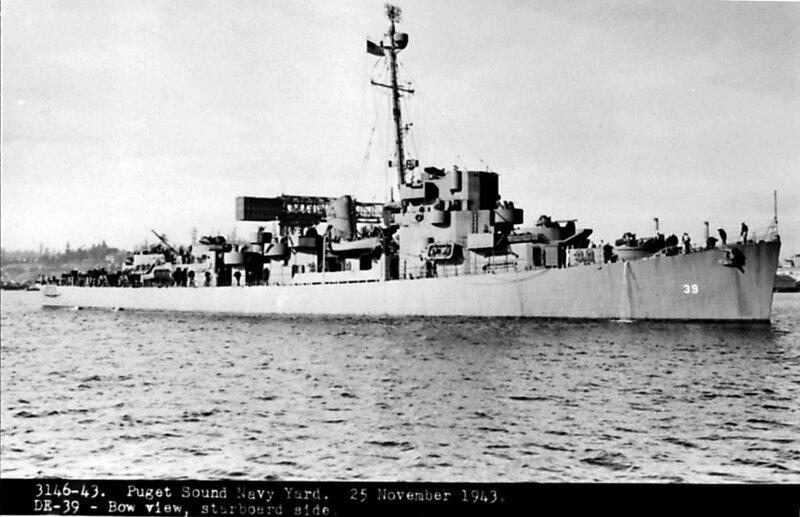 He was commissioned an ensign 28 February 1941 and assigned to the destroyer USS Hammann (DD 412). Ensign Lovering died during the Battle of Midway when Hammann was torpedoed by the Japanese submarine I-168 and sunk 06 June 1942 while aiding in the salvage of Yorktown (CV 5). Four torpedoes were loosed towards Yorktown. Two missed; one passed under Hammann striking Yorktown, and the fourth hit the destroyer amidships, breaking the destroyer’s back. As the debris from the explosion rained down and the ships lurched apart, it was apparent that Hammann was doomed after breaking in two. Life rafts were lowered and rescue efforts began by ships in company. The ship sank in just 4 minutes, and following the sinking a violent underwater explosion caused many deaths in the water, bringing the toll in dead to over 80. Ensign William B. Lovering was posthumously awarded the Purple Heart. His other awards include the Asiatic-Pacific Campaign Medal and World War II Victory Medal. 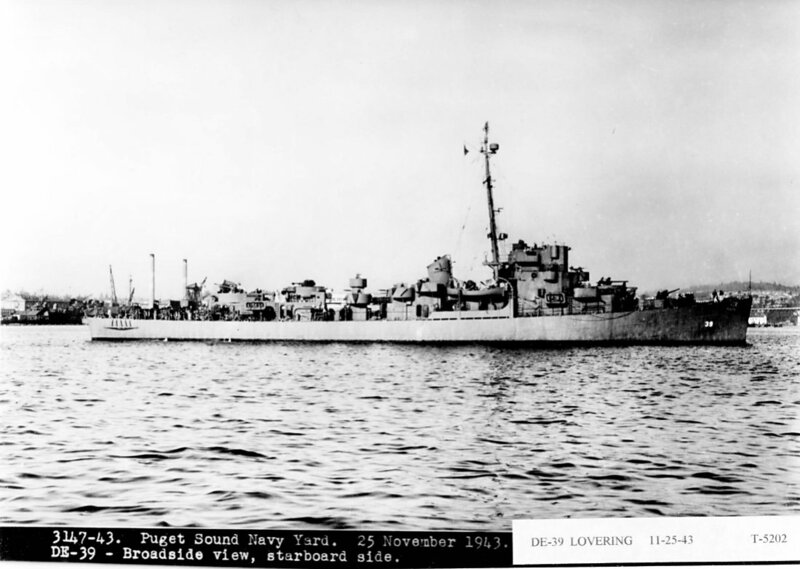 USS Lovering (DE 39) (1943-1945) was the first ship to be named in his honor. Althought DE 272 was to be named Lovering, her name was changed prior to her transfer to the Royal Navy. 50k date unknown: Seeadler Harbor, Admiralty Islands - USS Dobbin (AD 3) with (l to r) USS Lovering (DE 39), USS Welles (DD 628), USS Mustin (DD 413) and USS Fletcher (DD 445) moored alongside. View the USS Lovering (DE 39) DANFS history entry located on the Naval History and Heritage Command web site. View the official War History of USS Lovering as submitted by the ship at war's end.